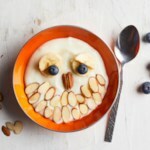 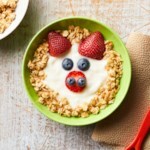 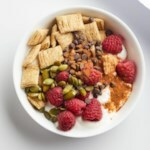 Arrange vibrant, colorful fruit in the shape of a rainbow on top of yogurt for a fun and delicious healthy breakfast or snack kids will actually want to eat. 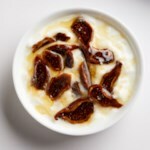 Combine yogurt and syrup (or honey) in a wide shallow bowl. 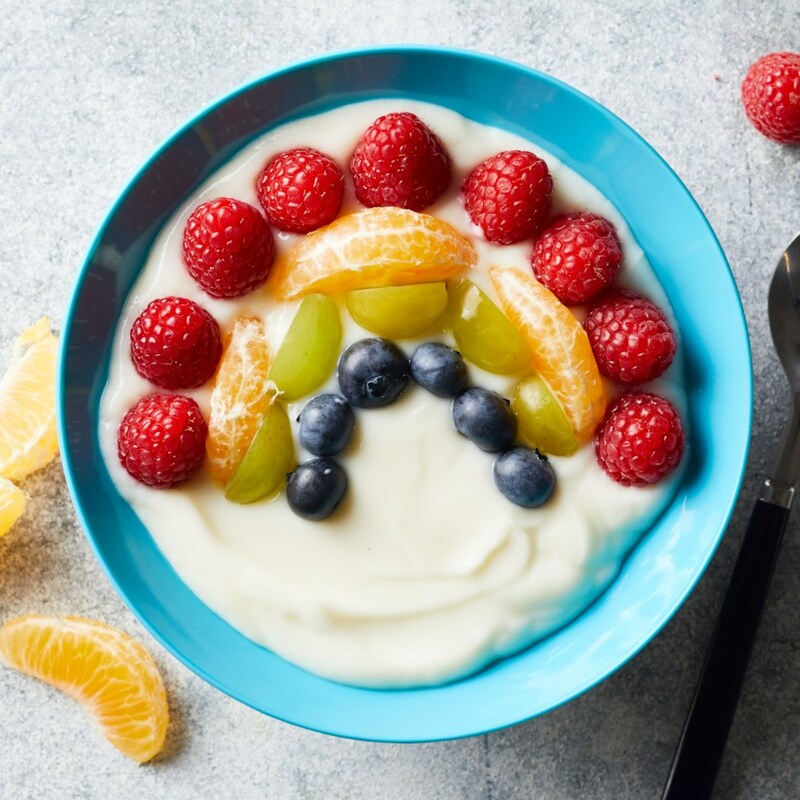 Top the yogurt with a rainbow made from raspberries, clementines, grapes and blueberries.